In retail, your workload can pile up quickly. That’s why you need a point of sale system that can keep up with you, so you can do more in less time. The solution: MYOB Retail Manager. It’s a POS system that gives you all the tools you need to simplify how you work in a retail setting, from identifying your best-selling items, to running promotions, to sharing your data with the back office. You can do all these and more with MYOB Retail. Plus, it comes with reliable support and fantastic deals when you subscribe to the software. So switch to MYOB Retail Manager today and see how it helps make your work a lot more efficient. Learn more about it by calling us at 1300 300 344 or sending us a message using our contact page. 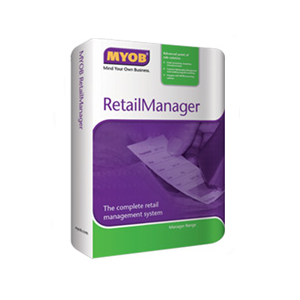 When it comes to simplifying how you run your retail business, there’s MYOB Retail Manager. It’s a POS system that comes with fantastic features that will help make your work easier and more straight forward than ever before. 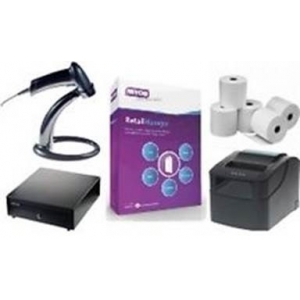 MYOB Retail makes your work a lot less complicated. That’s because it’s packed with features that automate and streamline your common tasks, from identifying what your customers like, to encouraging them to buy more, to customising your payment types. You’re in it for the long term. That’s why you need to keep in constant contact with your loyal customers and expand your customer base even further. That’s easy with MYOB Retail because the POS solutions come with Customer Relationship Management (CRM) tools that make creating contact groups and makes it easy to send them promotional materials on regular basis. Running a promotion with MYOB Retail is easy. Simply enter into your POS system the dates and times of the promotion periods, set your discounted pricing, and you’re good to go! You can even monitor the progress of the promotion with the built-in reporting tools. Plus, the pricing automatically reverts to the original, once the promotion period is over, saving you considerable time in the process. Have MYOB’s business management software? 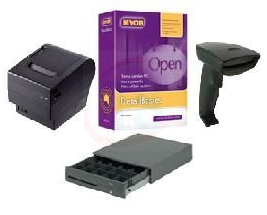 You can easily share with it information from your MYOB Retail point of sale system, helping your stores and back offices work quickly and seamlessly than ever before. Your MYOB Retail Manager subscription comes with technical support for all 7 days a week, so you can get answers to your queries when you need it. MYOB contact centres are open from 9:00am to 7:00pm, Mondays to Wednesdays; 9:00am to 9:00pm, Thursdays and Fridays; and 9:00am to 5:00pm, Saturdays and Sundays. Plus, you’ll get exclusive discounts and special offers with your subscription. Flexibility is another key feature of MYOB Retail Manager POS solutions. That’s because you can choose to subscribe for an entire 12-month period, or on a monthly basis. Either way, you’ll get all the benefits of using the software. To find out more about MYOB Retail Manager POS solutions, simply give us a call at 1300 300 344 or send us a message via our contact page. Because MYOB Retail is a powerful and a highly flexible point of sale system, it can adapt to the unique needs of any retail business, from gift shops, to convenience stores, to large retail outlets. For example, you can customise the screen options to suit how you work, so every step of the process can be streamlined. But that’s not all. The powerful features packed within these POS solutions mean that you can do a lot more with just a few clicks with MYOB Retail. These include tracking your sales, identifying your best-sellers, running promotions automatically, and even keeping in constant contact with your loyal customers. 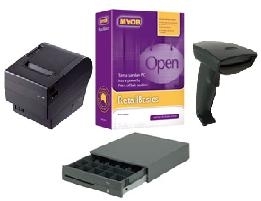 So make running your retail business simpler and more efficient today with the MYOB Retail Manager POS solutions. Call us at 1300 300 344 or message us at our contact page for more details.